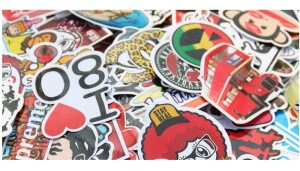 Stickers are quite popular freebies that come available online. This being the case, we have compiled a list of the latest free stickers that are coming available. I personally love to get stickers and have a collection of them in my house. They are great to give out as rewards to your children or grandchildren. Kids always get so excited when they get to pick a new sticker. Getting some of these free stickers will help build your collection. Stickers are also great just to decorate laptops, lunchboxes, folders or really just about anything you can think of. This list is constantly changing so be sure you stop in regularly or sign up for our emails to get the latest in our list.